All aboard! 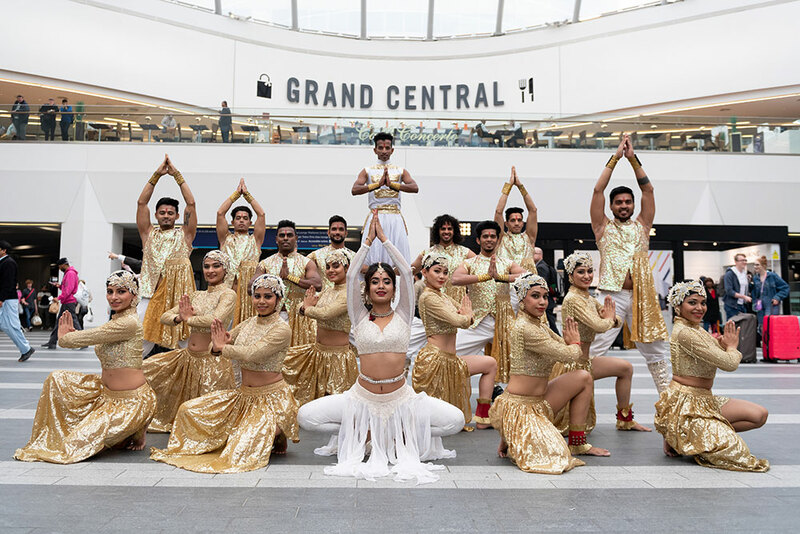 This Monday (10 Sep) the Taj Express pulled into Birmingham New Street with a surprise performance from eighteen members of the cast in full costume. 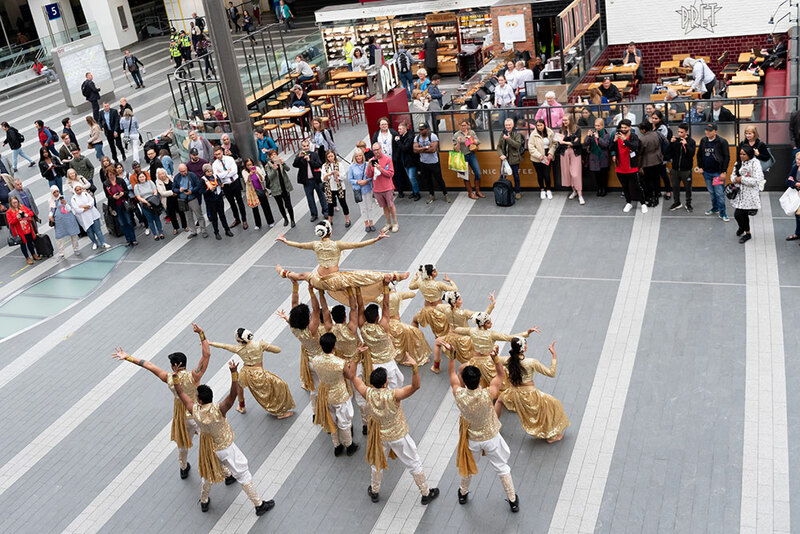 The six minute performance included recognisable Bollywood hits featured in Taj Express – The Musical which begins performances at Birmingham Hippodrome on Tuesday 11 September running until Saturday 15 September. 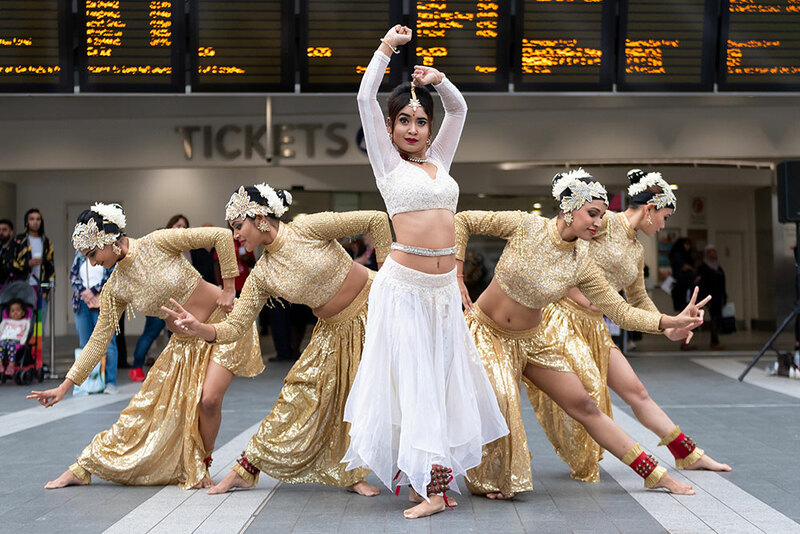 Transporting the kaleidoscopic colours of India into the heart of Birmingham, Taj Express follows the story of ones man’s passion and another man’s genius. Young composer Shankar struggles with his music, and it’s only when he begins to follow in the footsteps of his idol, A.R. Rahman that he discovers his path to success. The production reveals the secrets of the world’s most prolific film industry, and the people behind the screen who make the magic in India’s factory of dreams. 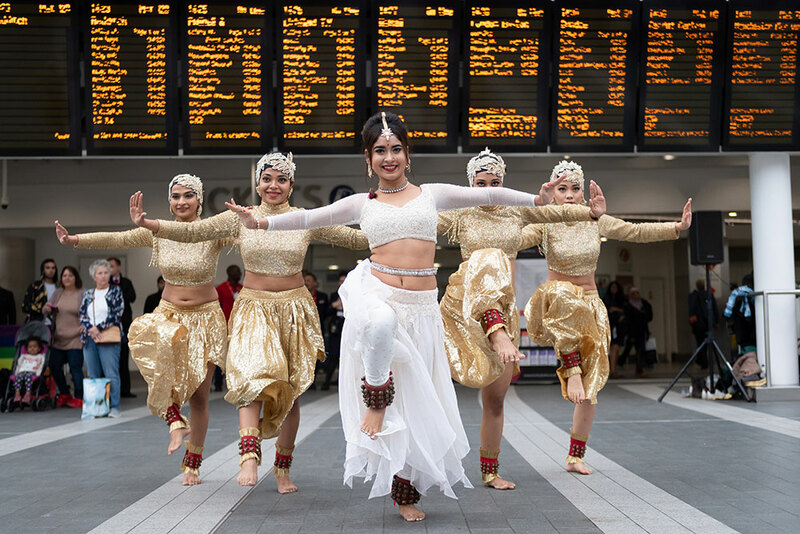 Taj Express blends explosive dance with the hits of India’s most iconic composers and is brought to life by the stars of Bollywood cinema and its greatest musicians live on stage and includes an unforgettable soundtrack featuring the songs of Oscar winner A.R. Rahman, composer of Danny Boyle’s 2008 film Slumdog Millionaire. 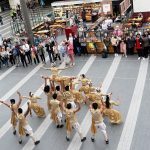 The production follows on from the success of The Merchants of Bollywood and Wah! Wah! Girls. 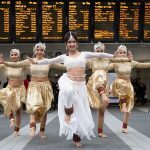 With a cast of multi-talented performers, Taj Express is an uplifting show full of colour, high-energy music and sensational dance scenes choreographed by one of Bollywood’s top young choreographers, Vaibhavi Merchant and directed by her sister Shruti Merchant. The pair were part of the creative team behind The Merchants of Bollywood, based on the life of their grandfather Shri Hiralalji and Vaibhavi herself. 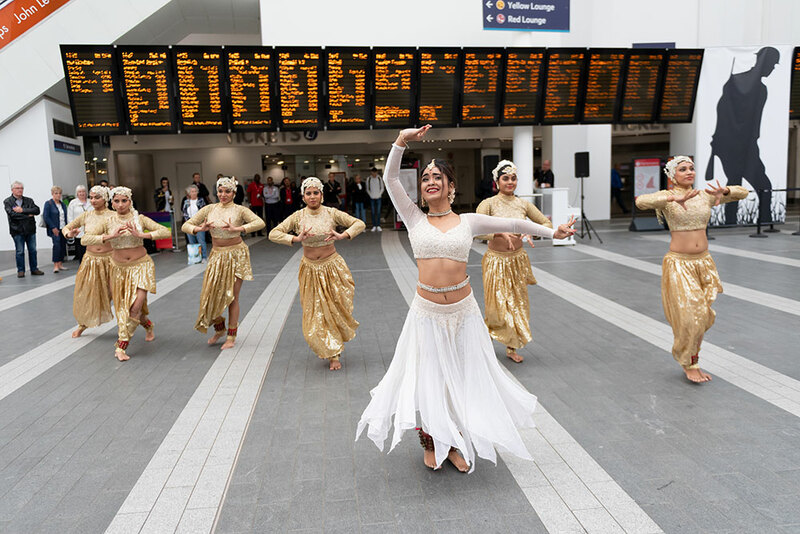 Taj Express is on until Saturday 15 September and tickets can be found here.